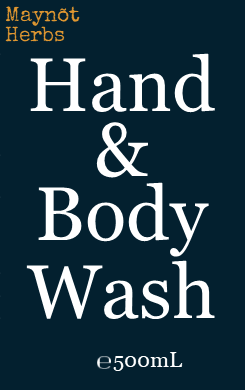 An all over body wash rich with plant soaps, NOT chemical ones! Use it on your body, face & all over! Apply a small amount (or a lot) to hand, cloth or loofah & clean yourself or someone else with it! Ingredients; Water, Almond Oil, Hemp Seed Oil, Glycerine, Soapwort Whole Plant T, Yucca Root T, Soap Nut T, Native Hop T, Cetearyl Olivate, Sorbitan Olivate, Grapefruit Seed Extract, Green Tea T, Olive Leaf T, Bergamot EO, Xanthan Gum, Lemon Myrtle EO, Sodium Bicarbonate, Kunzea EO, Sweet Orange EO. T=Tincture, EO=Essential Oil.